That Winning Moment is a #PocketFullOf #Fun with Gardenia Pocket Sandwich! - Triple Joys!!! The past week proved to be a very hectic week for us (especially for me!) as my daughters' school had a week-long celebration of their Foundation Day! 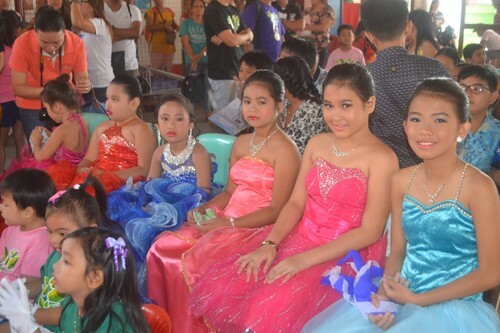 Aside from the left and right practices that my two daughters were attending for their per level presentations, my eldest daughter was chosen to be the representative of the Grade 6 students for their school's pageant - The Search for Mr. & Ms. Sparks! 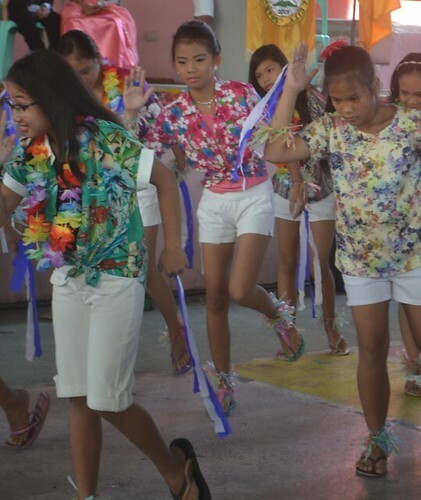 On the first day of their Foundation Day, all candidates and students had a parade around our small barangay. Each candidate were tasked to make their own floats for the parade. My beauty queen was really exhausted from the parade. Excited to munch on her Gardenia pocket sandwich! The pre-pageant followed later that day where they showed-off their different outfits - casual and sports wear. They also showcased their talents where the contestants for the enjoyment of all audiences. 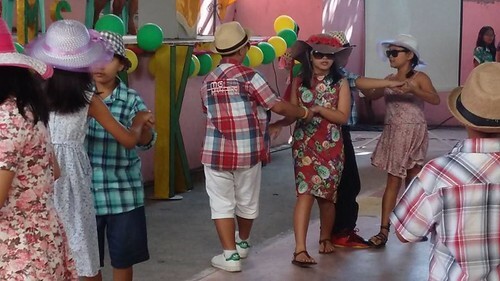 On the 2nd day of their event, the students had some sort of a ball which they called "Friendship Day". Every students wore they best suits and dresses. Every one looks like prince and princesses. It was such a magical day! The third day was allotted for games, booths and more games! The fourth day is the most awaited day of the event. It is the awarding day! Yay! Here are the candidates of each level, competing for the crown and title of Ms. Spark 2017! But before the announcement of winners, each level presented their performances. And yes, the moment that we were all waiting for finally came! The winners were announced! 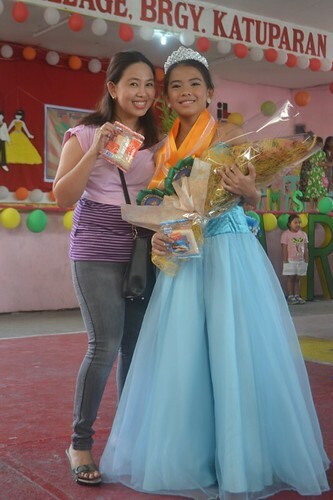 Congratulations baby for bagging the title of Ms. Spark 2017! We are so proud of you! At last, we were finally able to eat our snack! Whew! It was indeed a very tiring event. Thankfully, I have these pocket sandwiches. Very handy, now I can provide yummy and healthy snacks for my daughters in just one snap of a finger! It truly makes my snack preparations a lot, lot more easier! Gardenia truly made that winning moment a #PocketFullOf #Fun! Thanks to Gardenia for always coming up with new snack ideas! Gardenia Pocket Sandwich comes in two variants - Chocolate and Peanut Butter, which are two of the most kids-approved flavors! Gardenia Chocolate Pocket Sandwich is made with soft and creamy White Bread with rich chocolate filling and sealed to lock in its goodness while Gardenia Peanut Butter Pocket Sandwich is also made the same soft creamy White Bread, but this time, filled with luscious and milky peanut butter! Gardenia Chocolate Pocket Sandwich is high in iron and folate which contributes to normal formation of red blood cells & hemoglobin. It is also high in vitamin B1, which helps release energy from proteins, fats & carbohydrates. This is also a source of Vitamin A which is essential for the function of the eyes. Gardenia Peanut Butter Pocket Sandwich is also rich with almost the same essential vitamins - iron, vitamin B1, B2, and A so you can never really go wrong with these pocket sandwiches. These are not only easy to prepare, these are healthy too! Now, the time that we used to spent just to prepare healthy meals for our love ones can now be spent more wisely - that is, spending more quality fun time with your family and friends! Fun time is really just within reach with Gardenia Pocket Sandwich! 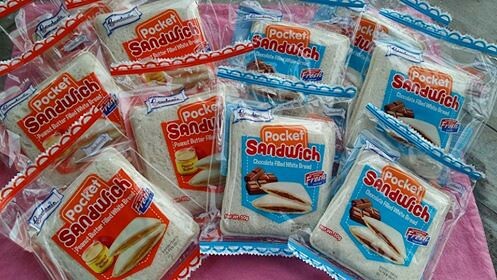 Gardenia Pocket Sandwich is available in leading supermarkets at a very affordable price of P15.00. It is baked fresh everyday so you can enjoy your favorite sandwich anytime and anywhere! So, what are you waiting for? Go ahead and try these yummy treats from Gardenia now! Congrats to your daughter. February din Foundation week sa school namin pero hindi naman busy. More on rides and booths sila. Wow congratulations Sis! You have such a lovely daughter. 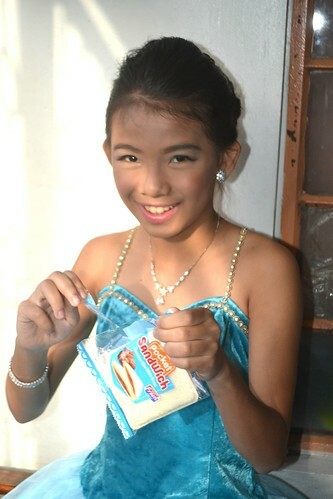 Would love to try the Gardenia Pocket Sandwich ~ so convenient and such time saver in preparing the kids baon. Your daughter's pretty, congratulations on her win! :) Hindi ko pa to nakikita sa grocery, will check it out next time :) We are fond of Gardenia products. 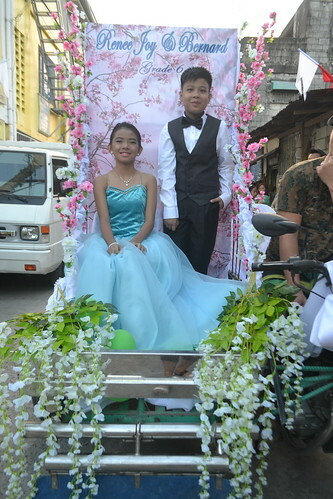 My two kids, lalo na. Your daughter is beautiful! And I really want to try those sandwiches, but I hope they come up with meat-based fillings, too! Congratulations to your young titleholder! :) those sandwiches do come in handy as baon. Congratulations to your daughter! I can't help but marvel at her skin tone! Question lang about the sandwiches, won't it get soggy after some time because of the filling? Congrats!! Your daughter is beautiful!! 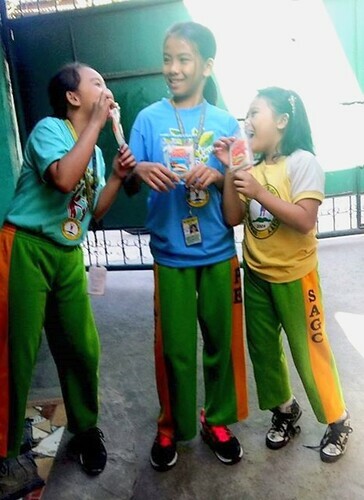 :) Mukhang masarap na snack talaga yung Gardenia. Loved them since I started eating that! thank you so much! :) the pocket sandwiches are indeed yummy and healthy! Hahaha! thank you so much! I hope that this gets to the Advertising Company that's handling Gardenia! lol! Wow congratulations to your family! Congratulations to your daughter! She is so pretty and talented! Congrats to your daughter for winning! It's a very proud mommy moment indeed. :) I've yet to find these pocket sandwiches in the supermarkets we frequent. Would love to try them. Congratulations to your daughter :) On a side note, I wanna try this one. How does it taste? You have a very pretty baby girl! Congratulations to you and to her! Congratulations to your lovely daughter! 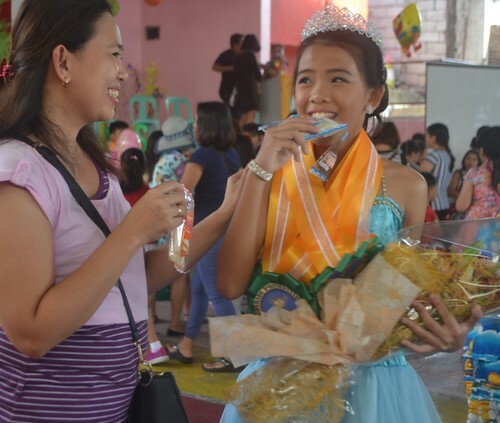 Indeed, her winning moment is a pocketful of fun, especially when there's Gardenia Pocket Sandwich around. We love it, too! Awww congratulations!Ang mommy din ba, may natatagong beauty queen moments nung kadalagahan? hihi! I've been looking for those gardenia sandwiches. I think they're great for my kids' baon every Tuesday. Wow, a beauty queen in the making. Congratulations to your daughter! I've seen the pocket sandwich, I think it was medyo thin but haven't tasted it yet. The size is perfect for baon and it will be nice if it will stay fresh for a long time.